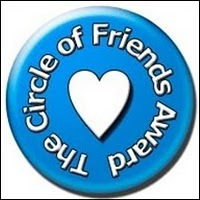 Today I received an award from not so familiar friend who is a working mom with two babies (Peanut -- 4/07 and the Pumpkin Man -- 12/08), a stay at home husband. Thank you very much Tumbleweed. I know I had three more awards to be distributed among friends and decided today I will sit down and do it though I know I have blogs to catch up with. 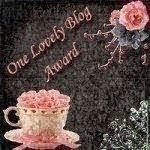 So here I am sharing the award of friendship which I received from mothersalways and Supriya’s tag time along with Alice’s Happy award. If I have missed any award then just pinch me and I will promptly do it. My memory is not what it used to be Sigh! 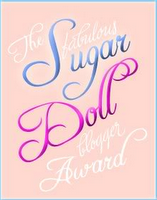 Here comes the Sugar Doll and One lovely blog award from lapnoodles….I was very much touched by her kind words for me. I am so happy to have touched her life in a positive way. This will hopefully cover up Supriya’s tag of disclosing ten honest things about me. 1) I always fancied marrying a soldier who was very brave and feared nothing. Sigh! 3) If there are Swedish, Russian or Spanish subtitles I lose the good movie trying to read what I can never figure out anyway. 4) At present I do not have TV, Oven, running water, washing machine in my home. 7) I have smoked one cigarette when I was 8 yrs old. After that it has been a firm no to any kind of smoking or alcoholic beverages. 8) I use gift of gab to prove my point in an argument which is not fair. Even if the opponent is right he/she can never prove it against me. 9) Even though I am not as peaceful as them I admire Buddha, Gandhi etc. I bet you did not know any one of those weird things about me. Now for Alice’s happy award .. I am so happy that finally I am sitting down and doing this. 4) Any kind or species of children ( other than the brats like I was in my childhood ;) ) including my two wonderful kids who are growing up fast. 7) The day my husband comes back from gulf and the day he goes back to gulf. 10) Me. 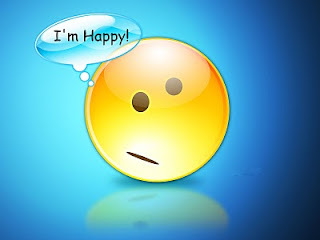 I usually make myself very happy. Now I can again talk about myself .. this is all about me isn’t it? 4) I love sewing and embroidering. 5) I learned to swim at the age of 42. I have decided not to tag anyone on to this awards but anyone is free to pick them up and pass it on ... only condition is mention the bloggers who gave this award to me. I assure you these blogs are wonderful and you will be hooked to them quite soon. Congratulations on all of your awards! You have earned everyone of them! What? You do not think of me when you think of handsome men?? Oh wait.....I just looked in the mirror. I don't blame you. Now that I know you won't even agree with me on something even if you know I'm right, I won't ever try. Just like my wife. Congratulations on being chosen for the awards. What were the religions that you studied and which one do you identify with now? How did you learn how to swim at 42? Great job!!! I loved reading those little tidbits about you! How do you cook without your oven? Oh my! it was quite a read... I loved reading more abt u..
LOL.Hitesh that could be one of the reason I blog.. so that I can have people listening to me. My husband stays in gulf for more than a year and I start missing him and feel happy when he comes back.. after 4 months of being with him I yearn for my freedom again. I have a special needs daughter and that makes Bangalore a far off place for me. I don't have a proper care taker for her ... If not I would sure have come over. Thanks Tumbleweed... I stole the idea from Matty I think. I am living in a rural village set up and my husband has been postponing upgrading our living conditions for ages. Reason for not having basic necessities. I have studied, Islam, Different sects of Hinduism, Buddhism, Jainism, Christianity, Zoroastrianism, and Sufism. I have found each one of them very interesting and also found loop holes in the teachings. Congrats on all your awards!! I love learning more and more about you! !